This oil is made from Afghani Bullrider that was grown in Beautiful British Columbia! This winterized BHO Oil product is a powerful strain which is considered to be one of the most powerful Indicas in the world. This is a famously pungent strain; Afghani Bullrider has notes of citrus blends. The earthy notes are intensified throughout the day. 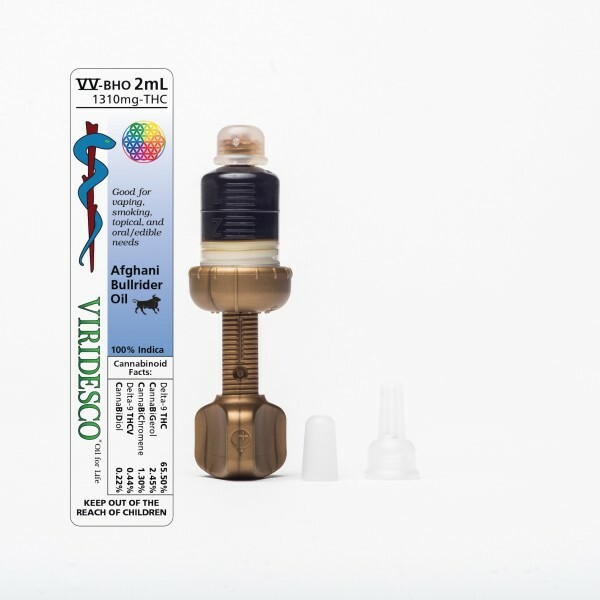 This high-end vaping oil has been independently tested at MB labs to contain 65.50% THC! 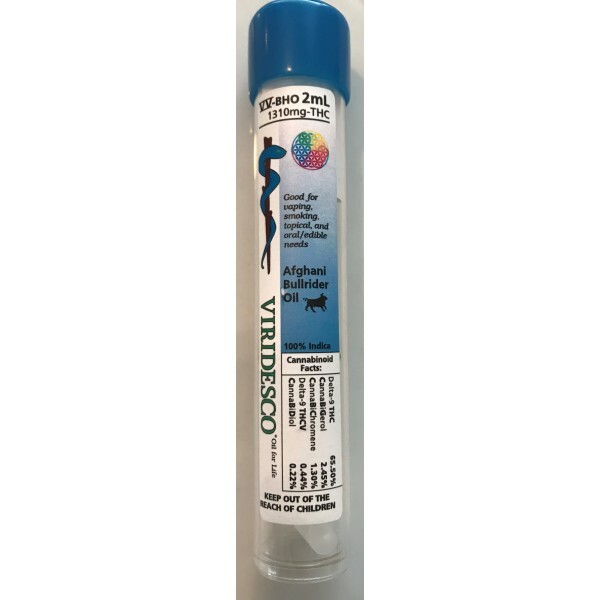 Afghani Bullrider BHO 2ml dispenser This oil is made from Afghani Bullrider that was grown in Beautiful British Columbia! We have determined that this product is 100% Indica Rank Canabinols %Value 1 Delta-9 THC 65.50 2 CannaBiGerol 2.45 3 CannaBiChromene 1.30 4 Delta-9 THCV 0.44 5 CannaBiNol 0.22 This winterized BHO Oil product is a powerful strain which is considered to be one of the most powerful Indicas in the world. This is a famously pungent strain; Afghani Bullrider has notes of citrus blends. The earthy notes are intensified throughout the day. 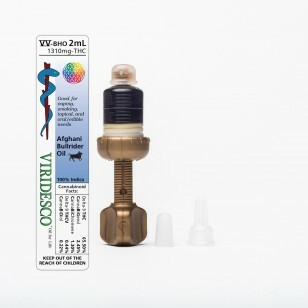 This high-end vaping oil has been independently tested at MB labs to contain 65.50% THC!